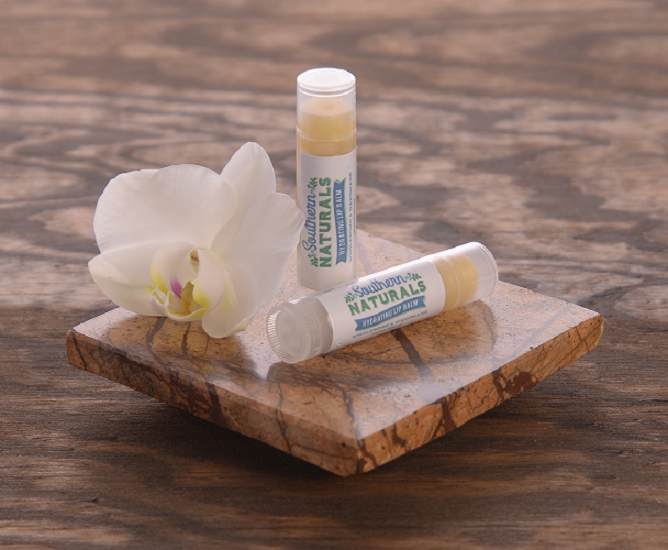 Southern Naturals chemical and petroleum free lip balms permeate chapped lips to nourish, hydrate and moisturize. Our lip balm goes on extra smooth and leaves your lips soft and natural. At Southern Naturals, I am very meticulous about ingredients. Most of the Beeswax used throughout the world is from China, and unfortunately it is impure. I purchase only local beeswax for use in my lip balms and other products. The Do's and Dont's for Softer Lips. Do apply a lip moisturizer such as Southern Naturals Lip Balm to lock in moisture. Don't lick your lips...licking your lips damages the protective barrier because your saliva contains digestive enzymes that can break it down and dry your lips out. Do use cucumber. Cut [one] into slices and hold on lips, allowing the water in the cucumber to soothe and replenish your cracked lips. Don't pick or peel flaking skin on the lips. This not only removes the natural skin protection but it can lead to cracking or open sores that may invite infection. Do exfoliate. Southern Naturals sugar scrubs are perfect to exfoliate your face and lips. Just rub very lightly onto lips until they begin to feel soft. Don't eat or drink anything acidic when your lips are chapped like orange juice, which may irritate and burn your dry lips even more. Do drink plenty of water. It is important that your body is properly hydrated and not deficient of vitamin B, iron and essential fatty acids. Keeping yourself healthy and hydrated will help to keep your lips looking fresh.